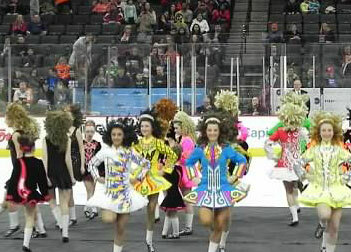 O’Grady Quinlan offers recreational and competitive Irish Dance classes. We provide many opportunities for performance and community involvement to aid in teaching your dancer life values and showing the importance of sharing their talent and time with others. O’Grady Quinlan participates in several key events throughout the year – parades, competitions, public performances. The students of the O’Grady Quinlan Academy of Irish Dance have entertained at weddings, parties, business meetings and festivals all over the Lehigh Valley and beyond. We would love to add a bit of Irish entertainment to your event! 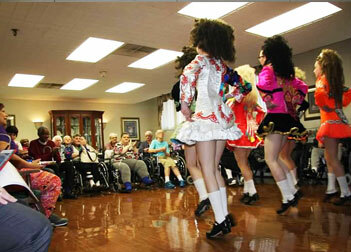 The O’Grady Quinlan Academy was founded in 2005, the result of an exciting merger between two popular well-established Lehigh Valley’s Irish Dance schools – the Maureen O’Grady School of Irish Dance and the Quinlan Academy of Irish Dance. O’Grady Quinlan offers students more than two decades of teaching leadership, a top notch roster of teachers certified by the Irish An Comisiun le Rince Galeacha and a cutting edge new training facility. O’Grady Quinlan dancers receive world class Irish Dance training and instruction to equip them to compete, perform and develop leadership skills that will carry them through life. O’Grady Quinlan is proud to be the only certified school in the Lehigh Valley that is registered with An Comisiun le Rinci Gaelacha. An Comisiun is the largest and most recognized Irish Dance Organization in the world and is home to dancers such as American born Michael Flatley, Jean Butler and many Riverdance and Lord of the Dance Troupe Members. Contact us for more information.